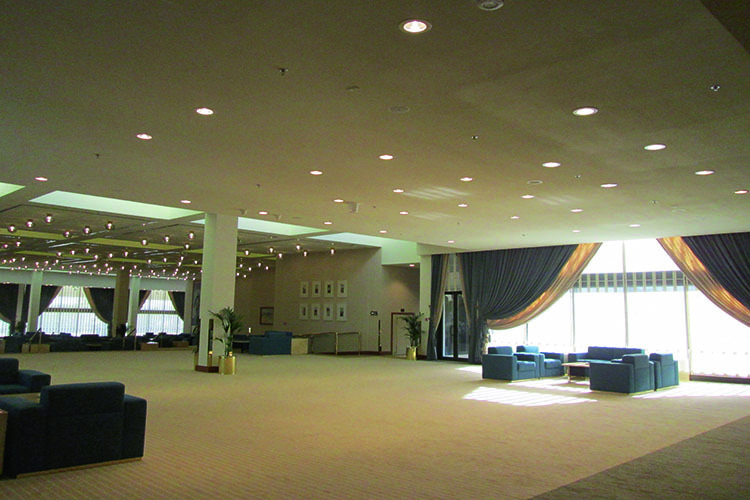 One of the largest and most complex wireless audio systems deployments in the Middle East, the Sheraton Doha, an iconic five-star hotel in the capital of Qatar, has successfully leveraged Sennheiser’s solutions to roll out a state-of-the-art wireless conference and translation system across its entire meeting and conferencing facilities. 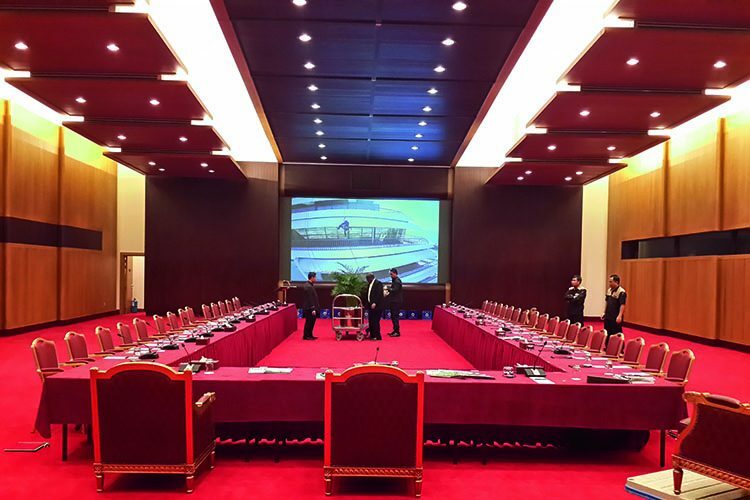 The landmark project, which was handled by the DOUMMAR Group, ensures that the Sheraton Doha can continue to offer the very best event, meeting and conference facilities to its customers. Besides the challenge of accommodating over 200 channels into the UHF spectrum while avoiding intermodulation and interference, the team had to convince the regulatory authority in Qatar that it would not operate in certain frequency bands. The meticulous planning required to accomplish these tasks was aided by a specialised software called Sennheiser Intermodulation Frequency Management (SIFM), which allowed the team to input the frequency ranges and receive a detailed frequency distribution plan for the building. As there is no frequency overlapping of channels, Sheraton Doha can move transmitters about for portability without concerns of intermodulation and interference. The stringent wireless security requirements were overcome by a combination of Sennheiser’s proprietary signal encoding and industry-standard 128-bit AES encryption. The project saw the deployment of 120 Sennheiser 3000/5000 Series microphones with Neumann KK-104 capsules – a combination used by many of the world’s most famous music artists. 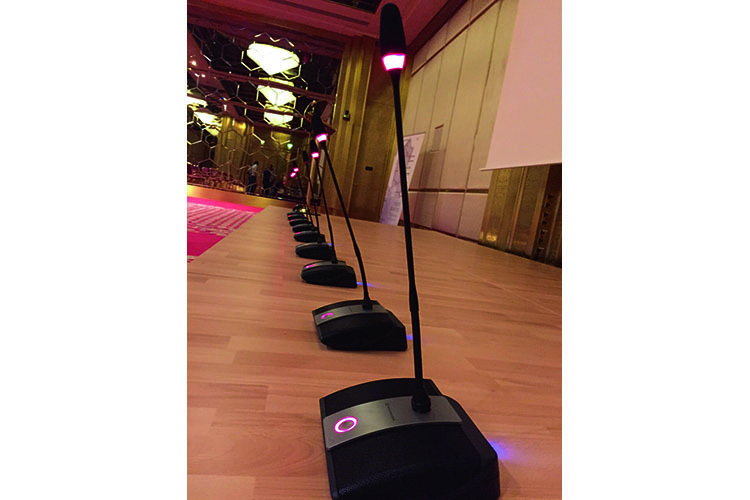 Also utilised were 400 ADN-W wireless delegate units for the portable conferencing systems, as well as 4000 Sennheiser HDE-2020 receivers and 21 SR-2020 transmitters for the translations systems – representing the largest and second largest global deployments for the Sennheiser conference and translation systems respectively. Perhaps most impressively, Q2 Advanced Technology Contracting LLC and Sennheiser Middle East managed to plan, supply, commission and test all these systems in a short five-month timeframe.